These Easter Chocolate Kisses are my version of Italian kisses, essentially a chocolate covered morsel of ice cream. 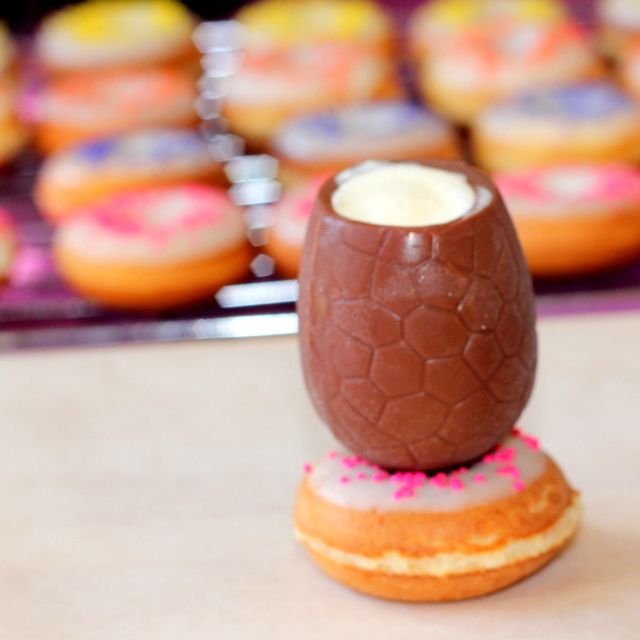 A hollow chocolate Easter egg, is cut open and filled with a homemade White Chocolate and Macadamia Nut ice cream. I love making my own ice cream, and the taste can’t be compared to the normal ice cream you can buy from the supermarket. To make these amazing treats, you will first need to make the ice cream. 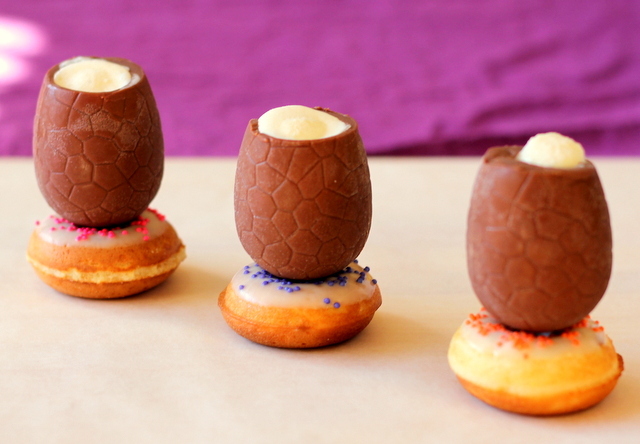 While the ice cream is churning, you can prep the Easter eggs for filling. In the bowl of an electric mixer, beat the eggs until light and fluffy. Slowly add the sugar and mix until incorporated. Add the cream and milk, and continue to mix. In a microwaveable bowl, melt 150g of the white chocolate, and add to the cream mixture. Beat together. Pour the ice cream mixture into the bowl of your ice cream maker, and churn according to the instructions provided with your maker. In a food processor, add 50g of white chocolate and the macadamia nuts, and pulse until small chunks are formed. When the ice cream has reached soft serve consistency, add the chunks of white chocolate and macadamia nuts. While the ice cream is churning, prepare the Easter eggs, by chopping off the top of them with a knife heated in the boiling water. Prop the Easter eggs up in an egg cup or other suitable container, and using a teaspoon, fill each egg with some ice cream. Put the eggs in the freezer, so that the ice cream can harden. 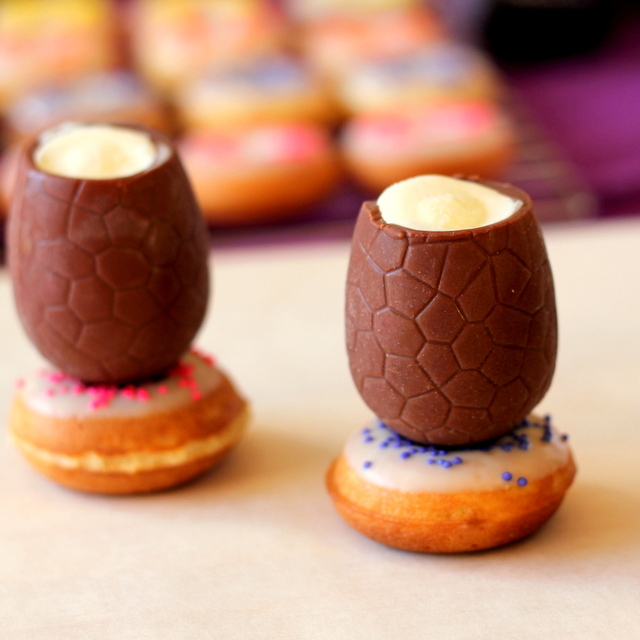 To serve the eggs, either place them in egg cups, or alternatively, you can make some mini doughnuts, and use those as egg holders.